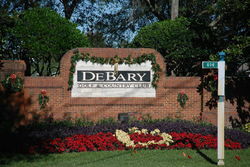 DeBary Golf & Country Club is located conveniently off 17-92 on the north side of DeBary in southern Volusia County. 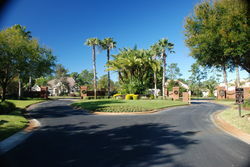 It has been voted several times as one of the best communities in which to live in Central Florida. The community is slated to be approximately 1,125 homes when completed and approximately 900 have been built. It is designed around different and distinct neighborhoods within the community. Several of these are gated including: Cinnamon Bay, Lakeside, Fairway Hills and The Estates. 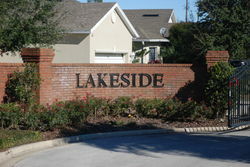 Lakeside straddles one of the community’s lakes and are single story patio-style duplexes, many of which are on the lake. Cinnamon Bay consists of one and two story duplexes with two car garages. Fairway Hills has single family homes with tile roofs, many of which, as the name would imply, are along the golf course. 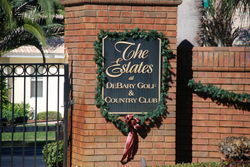 The Estates at DeBary Golf & Country Club are the largest and most custom homes in this community. The homes in this section all have lake and golf course views. Shopping, many restaurants and a full facility hospital are all just minutes away along Saxon Boulevard just off 17-92. Egress to I-4 is available via three separate exits, giving any commuter a number of choices. In addition, the business parks of Heathrow and Lake Mary are close by. If you would like a tour of DeBary Golf & Country Club – contact us !